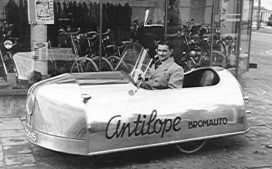 Antilope Bromauto was made by N.G. 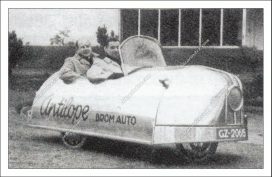 Boos from Hilversum, Holland in 1952. In Dutch ‘Antilope’ of course means ‘antelope’ but also as a word-play: ‘against walking’. A bromauto is a mix of a moped and a car. 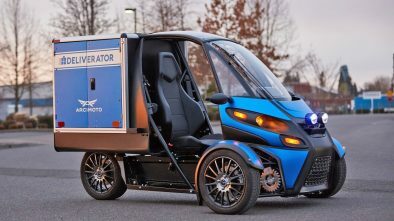 It was equipped with a small 60 cc motorcycle engine. Top speed was 25 mph (40 km/h). 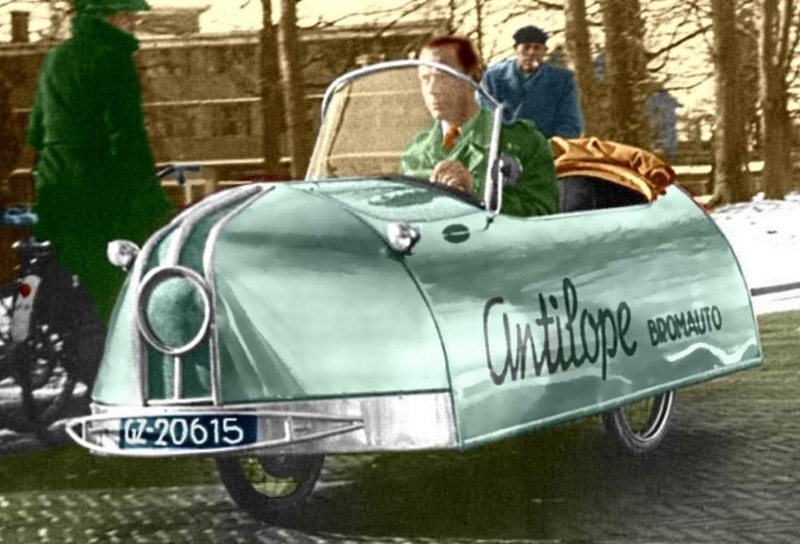 The Antilope home built microcar has 3 wheels with spokes — one in front, and two — rear. 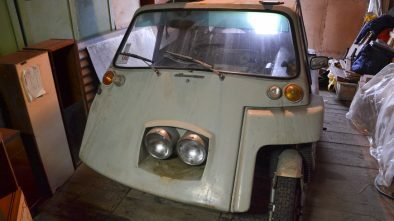 Its body had no doors and roof, but was equipped with small spider styled windshield. Two headlights were located on the sides of the body. The vehicle was too expensive to sell, so the only prototype was made.